Race recap: Cooper Webb got the holeshot and led the race early with his teammate Marvin Musquin in second. 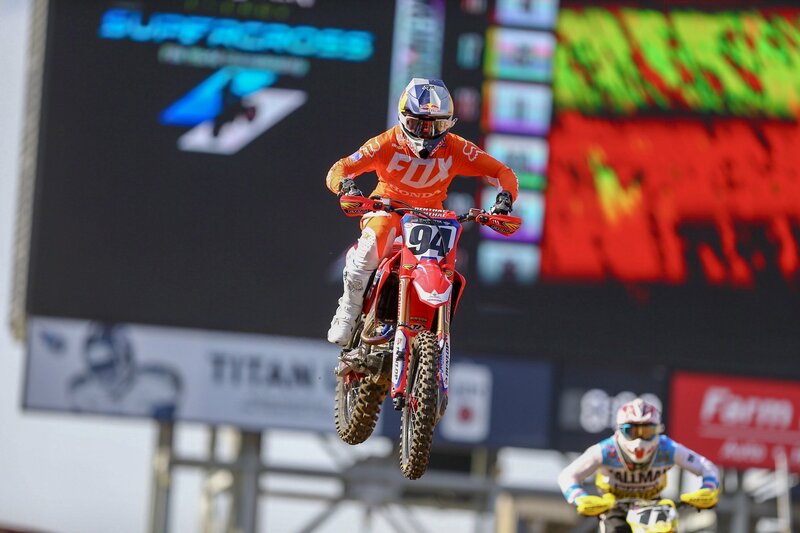 However, on the second lap Musquin went down and dropped to the back. Joey Savatgy and Ken Roczen moved up into the podium positions and were catching Webb but, when Savatgy went down, Roczen had nowhere to go and they both crashed. However, Webb wasn’t out of the woods yet as Eli Tomac, Dean Wilson and Blake Baggett were all still close behind. Shortly before halfway, Tomac made the pass and took the lead. Blake Baggett would later make a move stick on Webb for second. Race recap: A lot of points were up for grabs with points leader Austin Forkner being injured in a crash in qualifying. Justin Cooper got the holeshot but Chase Sexton soon took him from him. However, neither of them would lead Lap 1 as they took each other down and Martin Davalos snuck on by for lead and the win. Race recap: Blake Baggett shot out of a cannon at the start but it was Zach Osborne credited with the holeshot and Ken Roczen who led the first lap. Roczen built up a lead over his teammate Cole Seely and went on to win by over 8 seconds. Race recap: The initial start saw Mike Alessi get the holeshot, but as he faded back he got into Cooper Webb, causing him to go down. However, the red flag then flew for a crash involving Ronnie Stewart and Tyler Enticknap. On the restart, Eli Tomac got the holeshot and then traded the lead back and forth with Webb. Tomac won the battle and started to pull away but then an apparent mechanical issue took him out. This promoted Webb to the lead, but then Joey Savatgy found his way by and took the win. Race recap: Austin Forkner did not line up for the heat race after a crash in qualifying. Chase Sexton took the holeshot and quickly built up a lead, winning by over 13 seconds. 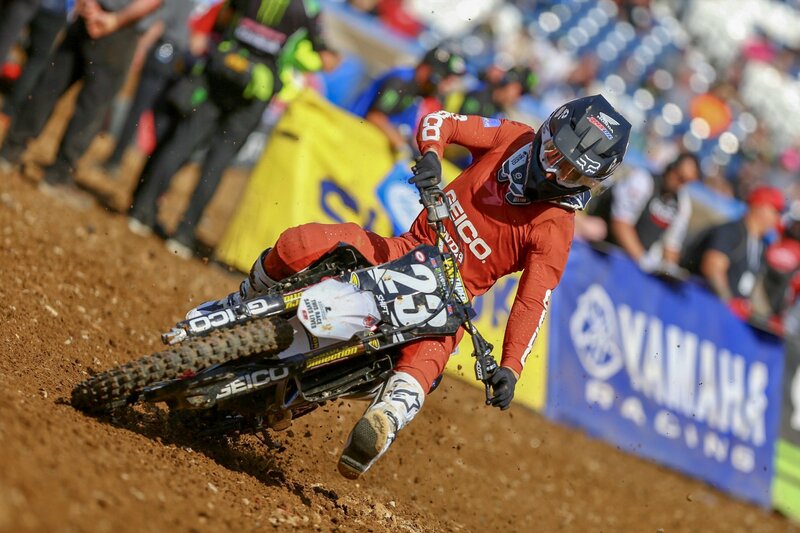 Race recap: Martin Davalos got the holeshot and never looked back, winning by over 7 seconds. Note: Austin Forkner was taken off the track by the Alpinestars medical team. Notes: Austin Forkner went down hard at the end of qualifying. Saturday’s Nashville Supercross is our “This Race Saves Lives” event. Riders stopped by the St. Jude Children’s Research Hospital earlier this week, and an auction will be held starting Wednesday to help raise money for the program. Find out more at supercrosslive.com/stjude.